BridgeTEFL Photo Contest winner, Carolina, is from Bogota, Colombia and is currently an English teacher in China. She has over 16 years' experience in education and works for a foreign language school in the Zhejiang Province. 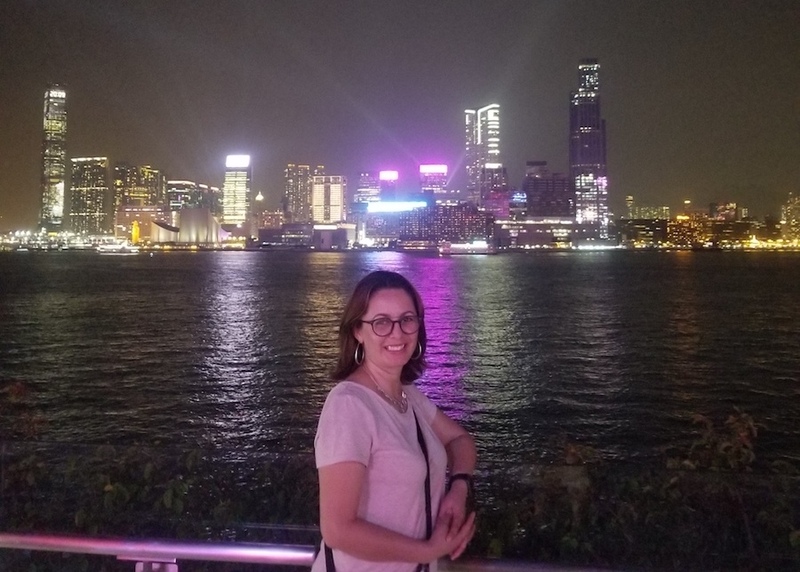 Carolina describes her time teaching English in China and how her background as a non-native English speaking teacher has benefited her career. Hi Carolina, can you start by telling us a bit about your background? I studied early childhood education sixteen years ago in a small institution located in downtown Bogota called Cedinpro. After I finished my undergraduate degree, I moved to the USA to teach where I was part of a Spanish immersion program. While I was living there, I finished my master's degree in Education from UNINI USA (Universidad Internacional Iberoamericana). I have been teaching for over sixteen years. In Colombia, I taught English and several other subjects to young children, then I taught kindergarten and 1st grade in the USA. Now I am teaching English in China to kindergarten children. What made you want to teach English in China? After my contract finished in the USA, I was looking for other job opportunities and found a position in China. I applied for the job and got it! 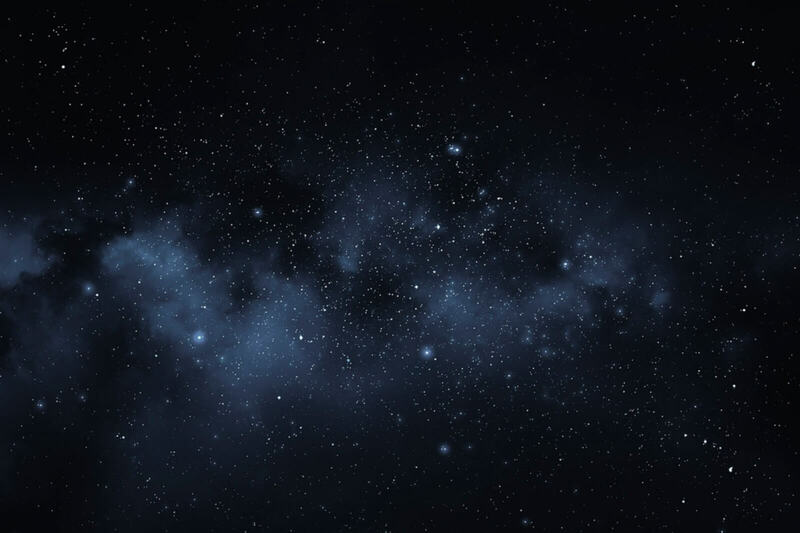 I love to travel, and I thought it would be an excellent experience for me. Why did you choose to get TEFL certified? And did your BridgeTEFL Master Certificate course prepare you for the classroom? I have a teaching degree and a master's degree, but when I came to China, I realized I needed other knowledge to teach English as a foreign language (EFL). I researched several courses online and decided to do my TEFL certification with Bridge because it met the requirements I was looking for. How did you find your teaching job in China? Did you get it before arrival in country? A friend of mine recommended me for the job. I contacted the person in charge of the school recruitment, did the interviews, sent the papers, and then got my visa. The contact information was given to me before coming back to Colombia, but I finished all the visa paperwork in my country. Teaching English by cooking. Carolina and her students made cookies to reinforce food words. Can you tell us about your current teaching job? I now work for a foreign language school in a small village in the Zhejiang Province. I am in charge of teaching English to the kindergarten students. I have seven classes a day and teach nine courses in total. 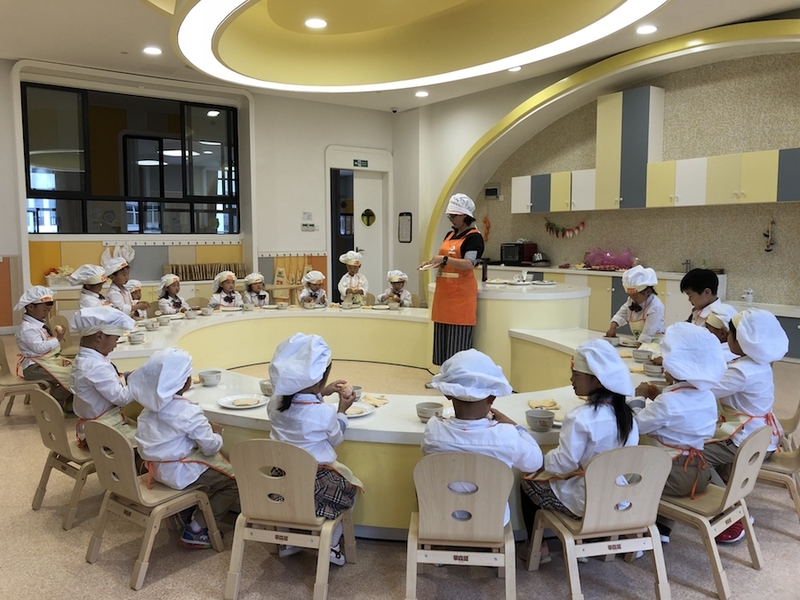 My students' ages range from 3-years-old to 7-years-old. A typical work day is busy. I arrive at the school at 7:30 am, prepare the materials for the day and get the computers running; then I go to the main door and greet the children. My first class is at 9 am. I teach a block of three hours. By 11:20 am, I have finished classes for the morning. I then have my lunch which is provided by the school and a break of one hour. During this time, I go home, have a tea, and maybe read a little. In the afternoon, I come back to school at 1:30, usually read my email, check messages, etc. After my afternoon break, I have just two more classes to go! My last class finishes at 3:50 pm. Then I sit, plan, make copies, create materials, etc. for the next lesson plan or topic. My day finishes at 5 pm in winter and 5:30 pm in summer. I know that English is not your first language. How has that shaped the way you teach? Good question! As an English learner myself, I can understand most of the English grammar rules because I learned that way. I lived in the USA for a while, and that gave me more fluency. I studied a lot. I also took online courses in areas that I needed to improve — such as TEFL and pronunciation. I can understand why students struggle with some rules, spelling, and pronunciation that are so different from their language. I check at least twice when I am not sure about the rules or the pronunciation of an English word before delivering it to the children. Young minds learn so quickly, so it's important to make sure you're teaching them accurate information! Carolina, on a recent trip to Hong Kong. Can you tell us about a memorable experience you've had teaching in China? I love to travel, and that's what I have been able to do during my time here. I visited Suzhou, which is one of the oldest cities in China. 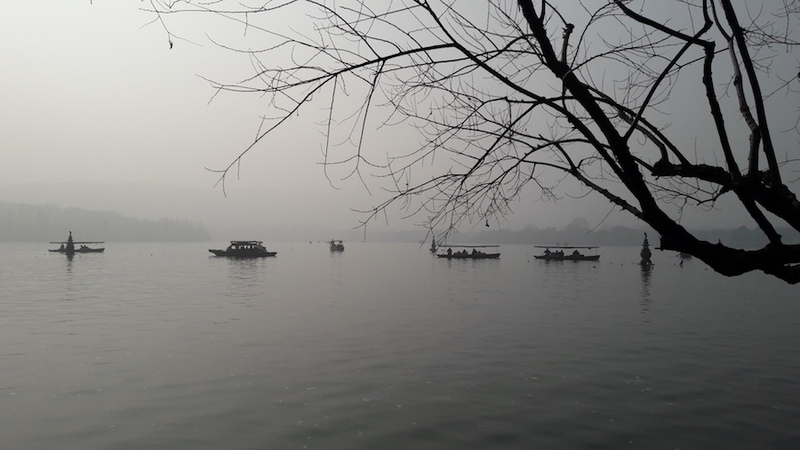 I also went to Hangzhou, the Capital of Zhejiang and heard the love story about the lake there which was very inspiring. I've traveled to Shanghai, which is such a great city; I went to the highest building there, which is an incredible 105 floors! 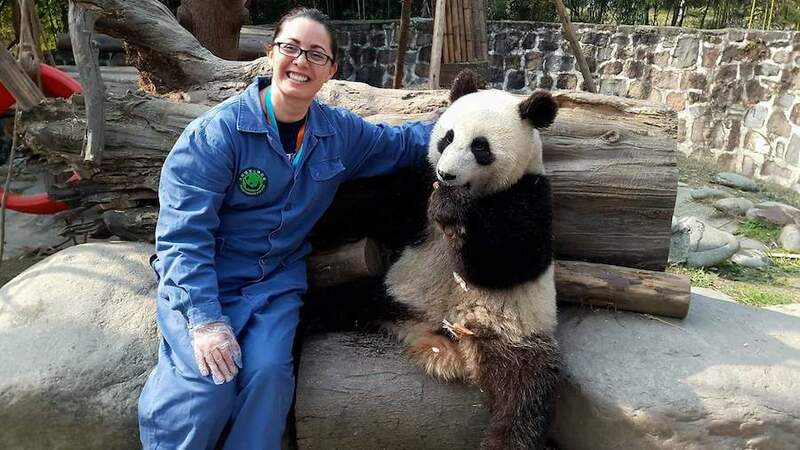 I've seen the Terracotta Army at the Emperor Qinshihuang's Mausoleum Site Museum, and have even been able to volunteer for panda care at Chengdu, which was amazing. I have also been able to travel outside the country. In Japan, I went to Hiroshima and am always looking to visit new travel destinations. The Great Wall of China and the Forbidden City in Beijing are on my list for this year, and hopefully some new countries as well! A gorgeous snapshot of Hangzhou West Lake. What recommendation do you have for someone who wants to become an English teacher in China? Be patient! Remember that you are not in your country and that things are different here. Sometimes things take more time to get done than you are used to, but eventually, things will get done. Be respectful, as you would want others to respect your country, culture, and traditions. Enjoy your time here! Travel in China is fairly inexpensive, so pack your bags and go! China has beautiful places to visit; the bullet train is fantastic, the flights are on time, and there are many ways to get around. Try to learn some Chinese! (I'm just starting). For more information about becoming an English teacher in China, download our country guide!